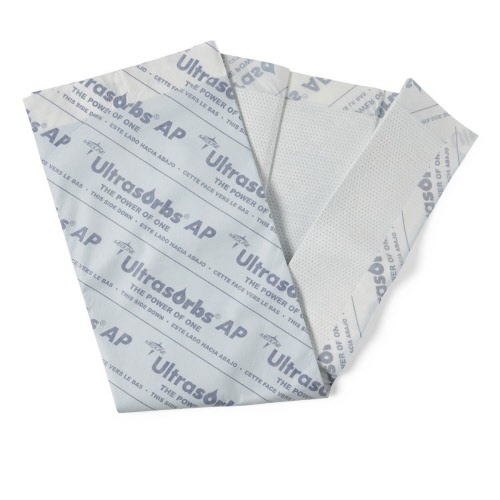 << Back Ultrasorbs Dry Pads. Clinically shown to help maintain skin integrity as part of an overall pressure ulcer prevention program. Patented SuperCore draws in moisture, locks it away from the skin and feels dry to the touch in just minutes. AquaShield film provides leakage protection that means fewer linen changes. Lies flat when wet thanks to SuperCore technology, without bunching swelling, or disintegrating. Air permeable for better skin health and added patient comfort.